There’s nothing Eugene can’t tell you about secure encryption of payment card data at the point of interaction. Don’t worry, you’ll never have to meet him. Brilliant at the financial bit. We’ve poured all our expertise into developing a secure global payment solution – so you don’t have to. EVO Payments integrates easily into the tech you’re developing in just a few hours, leaving you free to work on the fun stuff. Oh, and you’ll be opening up a potential new revenue stream whilst you’re at it. With simple, easy-to-use payment APIs and integration toolkits, you’ll be ready to take in-store, in-app, online and mobile payments in double-quick time. Nearly 30 years of worldwide payment experience and outstanding support means we’re perfectly placed to be your acquirer, processor and technology partner – all at the same time. Expand your offering and your horizons with our world-class merchant services available in 50 markets, across over 130 currencies. We’ll introduce you to new customers too. Access sample code in all major development languages, so you can build the way you want – without having to write reams of payments code. You won’t need to navigate the complexities of payment compliance all by yourself. Our security and fraud prevention solutions make PCI compliance simpler than ever. Our transparent and great value pricing means you can delight your customers with our great service without breaking the bank. 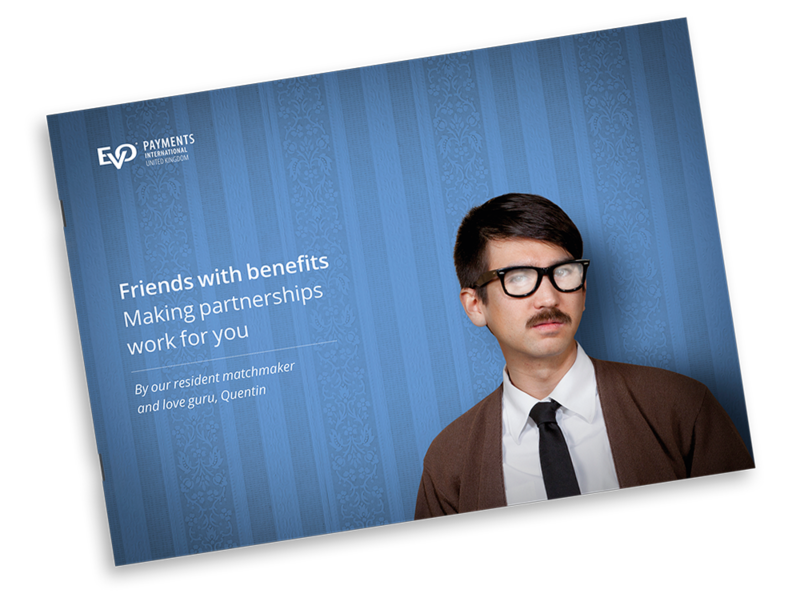 Let our resident matchmaker give you a feel for the power of partnerships in our new guide.